Chronic diseases of environmental origin are a significant and increasing public health problem among the children of New York State, yet few resources exist to address this growing burden. To assess New York State pediatricians self-perceived competency in dealing with common environmental exposures and diseases of environmental origin in children, we assessed their attitudes and beliefs about the role of the environment in children’s health. A four-page survey was sent to 1,500 randomly selected members of the New York State American Academy of Pediatrics in February 2004. We obtained a 20.3% response rate after one follow-up mailing; respondents and nonrespondents did not differ in years of licensure or county of residence. Respondents agreed that the role of environment in children’s health is significant (mean 4.44 ± 0.72 on 1–5 Likert scale). They voiced high self-efficacy in dealing with lead exposure (mean 4.16–4.24 ± 0.90–1.05), but their confidence in their skills for addressing pesticides, mercury and mold was much lower (means 2.51–3.21 ± 0.90–1.23; p < 0.001). About 93.8% would send patients to a clinic “where pediatricians could refer patients for clinical evaluation and treatment of their environmental health concerns.” These findings indicate that New York pediatricians agree that children are suffering preventable illnesses of environmental origin but feel ill-equipped to educate families about common exposures. Significant demand exists for specialized centers of excellence that can evaluate environmental health concerns, and for educational opportunities. Trasande, Graber, Falk, Galvez, Moline, Forman, and Landrigan are with the Department of Community and Preventive Medicine, Mount Sinai School of Medicine, New York, NY, USA; Trasande, Boscarino, Graber, Galvez, Forman, Laraque, and Landrigan are with the Department of Pediatrics, Mount Sanai School of Medicine, New York, NY, USA; Boscarino and Moline are with the Department of Internal Medicine, Mount Sinai School of Medicine, New York, NY, USA; Boscarino is with the Center for Health Research, Geisinger Heath System, Danville, PA, USA; Schechter is with the Department of Family Medicine, Albert Einstein College of Medicine, Bronx, NY, USA; Dunkel and Geslani are with the American Academy of Pediatrics, District II, NY Chapter 2, New York, NY, USA and the American Academy of Pediatrics, District II, NY Chapter 3, New York, NY, USA; Kaplan-Liss is with the Department of Preventive Medicine, Stony Brook University School of Medicine, Stony Brook, NY, USA; Miller is with the Department of Obstetrics & Gynecology, and of Pathology and Clinical Laboratory Medicine, University of Rochester School of Medicine and Dentistry, Rochester, NY, USA; Miller and Korfmacher are with the Department of Environmental Medicine, University of Rochester School of Medicine and Dentistry, Rochester, NY, USA; Carpenter is with the Institute for Health and the Environment, University at Albany, Rensselaer, NY, USA; Balk is with the Department of Pediatrics, Division of General Pediatrics, Children’s Hospital at Motefiore, Albert Einstein College of Medicine, Bronx, NY, USA; Frumkin is with the National Center for Environmental Health, Agency for Toxic Substances and Disease Registry, Centers for Disease Control and Prevention, Atlanta, Georgia, USA. A preliminary version of this manuscript was presented as a Platform Presentation at the Eastern Society of Pediatric Research Annual Meeting in Old Greenwich, Connecticut on March 4, 2005. This research was supported by the New York Community Trust. We are deeply grateful to Dr. Marie Casalino of District II (New York State) American Academy of Pediatrics for her assistance with obtaining membership rosters and with survey distribution. We also appreciated the input of Ms. Lauri Boni, Drs. Carl Johnson and Shuba Kamath in piloting versions of the survey prior to distribution. Drs. Landrigan, Graber, Galvez, Trasande and Forman are all members of the Mount Sinai PEHSU that is referenced in this manuscript. Centers for Disease Control. Health, United States, 2004. National Center for Vital Statistics. Available at: http://www.cdc.gov/nchs/hus.htm Accessed January 20, 2004. Centers for Disease Control. Third National Report on Human Exposure to Environmental Chemicals. Atlanta: Centers for Disease Control, 2005. Available at: http://www. cdc.gov/exposurereport Accessed August 26, 2005. U.S. Environmental Protection Agency. NPL Sites in New York, NPL, Superfund, U.S. EPA. Available at: http://www.epa.gov/superfund/sites/npl/ny.htm Accessed March 1, 2006. U.S. Environmental Protection Agency. Toxics Release Inventory (TRI) Program. Available at: http://www.epa.gov/tri/ Accessed March 1, 2006. Division of Solid and Hazardous Materials, New York State Department of Environmental Conservation. Final Annual Report for New York State Pesticide Sales and Applications, 2001. Available at: http://www.dec.state.ny.us/website/dshm/prl/prl2001.pdf Accessed May 29, 2004. New York State Department of Environmental Conservation. Ambient Air Quality Monitoring Networks. Available at: http://www.dec.state.ny.us/website/dar/baqs/monitor.html Accessed March 1, 2006. Association of Occupational and Environmental Clinics. Pediatric Environmental Health Specialty Units. Available at: http://www.aoec.org/PEHSU.htm Accessed August 26, 2005. New York State Health Department. 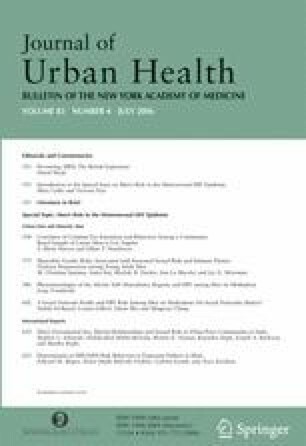 Appendix B—Promoting Lead Free Children in New York State: A Report of Lead Exposure Status Among New York Children, 2000–2001. Available at: http://www.health.state.ny.us/nysdoh/lead/exposure_report/resource_centers.htm Accessed March 1, 2006. Ferre Institute. Pregnancy Risk Network: A NY State Teratology Information Service. Available at: http://www.pregnancyrisknetwork.org/ Accessed March 1, 2006. New York State Health Department. NYS Occupational Health Clinic Network—Protecting the Workers. Available at: http://www.health.state.ny.us/nysdoh/environ/occupate.htm Accessed March 1, 2006. University of Rochester Environmental Health Sciences Center. Perinatal Environmental and Drug Exposure Consultation Service. Available at: http://www2.envmed.rochester.edu/envmed/ehsc/outreach/PEDECS.html Accessed June 21, 2004. New York State Health Department. New York Regional Poison Control Centers. Available at: http://www.health.state.ny.us/nysdoh/poisoncontrol/index.htm Accessed June 21, 2004. New York State Counties and Regions. Available at: http://www.iloveny.com/search/regions_index.asp Accessed January 3, 2005. New York State Department of Education. Online Verification Services. Available at: http://www.op.nysed.gov/opsearches.htm Accessed January 3, 2005.